Welcome to our latest feature LifeStyle Entertainment—where we are enjoying the luxuries of the limousine world. In this feature, enjoy the finest luxuries the world has to offer from our favorite travel spots, cars, homes, jewelry & fashion, foods and celebrity entertainment. Let’s explore unlimited possibilities together! Never in history has a timepiece been more of a majestic luxury accessory than in 2016. With the advent of smartphones being virtually attached to everyone’s hands or at least in reach, the need for a watch gets less and less important. Because of this, however, watches now stand out more than ever—especially really nice ones. Here are some watches that really caught our eye—as well as where to get them. 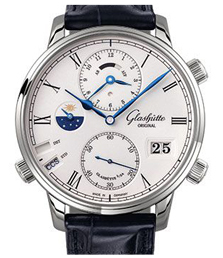 This Grand Complications model is made of platinum and has an alligator strap. The black lacquered clock face features a baguette diamond marking 12 o’clock and 58 baguette diamonds around the bezel. 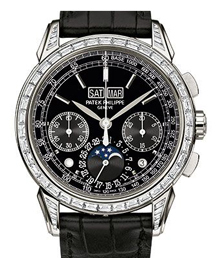 This manually wound watch, which is water-resistant to 30 meters and has a perpetual calendar with moon phases and a smaller dial showing the seconds, retails for $280,000. The Senator Cosmopolite is designed for the convenience of the world traveler. The main dial showcases the local time, and there’s a subdial for the time at home, as well as a time zone corrector, a time zone display, and the local date. But then again, your mobile phone probably has these same functions, so you should love how this watch looks. 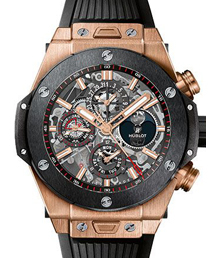 Hand-finished and featuring an alligator strap, this watch retails for $43,500 in rose gold or $43,300 in white gold. Which couples killed it on the red carpet? How amazing was Jennifer Lawrence’s dress? Was that really Lady Gaga turning heads on the red carpet? Who looked the best stepping out of their rides? Who is the Oscar trophy named after? When the Oscars roll around, there are certain visuals that come to mind that are timeless. One visual synonymous with the Oscars is the limousine entrance of the movie star. Whether it is Greta Garbo, Audrey Hepburn or Leonardo Di Caprio, limousines have been in the limelight since the inception of the Oscars. Nothing says class and importance more than a long, beautiful limousine. Whoever said you can’t mix business and pleasure, has just not met the average business person in 2016. Click here to continue reading. For more watches and details on the selected watches, click here. Estelon is a global High-End speaker brand in pursuit of a dream to achieve complete aesthetic and acoustic perfection through the fusing of high art and cutting edge science. When you think of a limousine in the real world, you can associate a million different possibilities. Hollywood has capitalized on the luxurious and open backdrop of a limousine for some of the most entertaining scenes in films. Here are ten of my favorite limo appearances in film since 1980 and why, starting with #10. Click here to continue reading. My Toc Entertainment Group, LLC. provides an excellent service to their clientele including many celebrity cortege. We are spotlighting My Toc Entertainment Group for a celebrity sneak peak into Ms. Patti Labelle’s preferred method of luxury ground transportation when she’s in town. Limo Digest uncovered some photos of the custom Mercedes Benz Sprinter by Executive Coach Builders. Check out a few photos below. It can prove to be the best thing for you to opt for the perfect Los Angeles luxury homes. This would make it possible to enjoy a lavish lifestyle in the best manner. Los Angeles happens to be an entertainment hub of the USA which is also the 2nd largest city. There are more than 10 million people that live in this city. If you dream to plan for a house in this City of Angels, then it can be the best decision for you. It would lead to bringing a tremendous sense of satisfaction from the perfect choice that you make in the perfect manner. Being the hub of million dollar homes in the USA, it can prove to be a dream come true for choosing the best Los Angeles luxury home for you. Well at the same time there are some important things that you need to concentrate when you wish to look forward to opting for the best luxury homes in Los Angeles. Get ready to spend a lot of money: When it comes to the prices of homes in Los Angeles it proves to be very costly when it comes to comparing with other countries. But once you manage to get the perfect one it would be not only possible for you to get a home full of luxuries but also a great lifestyle as well. Thus it proves to be the perfect choice for you when you try to look forward to opting for real Los Angeles luxury estates in the best way. So you have to be prepared in spending a lot of money to find the perfect one for you as well as for your family. Choose the best localities: There are some luxurious homes in Los Angeles where you can find in Hollywood Hills. Another locality where it is possible for you to find the best and beautiful homes in Beverley Hills where there exists the most famous ZIP code. You would be able to get lots of good and useful amenities along with unique as well as beautiful architectural wonders that would make it the best choice for you. Another feature that you can find is that it has got high ceilings that make it possible for you to enjoy good space and grandeur. It also goes a long way in providing with large entryway where 4-6 cars can be parked in your home without any problem at all. Live a king size life: Even if you cannot afford to buy luxury homes in Los Angeles, it is possible for you to opt for renting it as well. For this, you need to make sure of finding the best as well as reputed real estate agents that can help you to provide with the right options available for you to get your dream home in the right manner. You would be able to lead an active lifestyle with huge dining room and living room along with a foyer area where you can receive your guests. What’s more, you can also enjoy your favorite drink in your swimming pool that would make you feel refreshed. Get the best deal: It is vital for you to make sure of getting hold of the best deals so that you can get rid of burning a hole in your pocket. It is probable for you to get the best Los Angeles luxury estates that would help in finding the perfect homes for you in order to enjoy a good and luxury life ahead. Make sure of checking for their credentials so that you can get the right idea about the service quality that can be expected out of them. Thus you can enjoy the best lifestyle once you manage to find the perfect Los Angeles luxury homes. This would prove to be the best selection that you have made in an exemplary manner.